Check the email directions you wish to match. 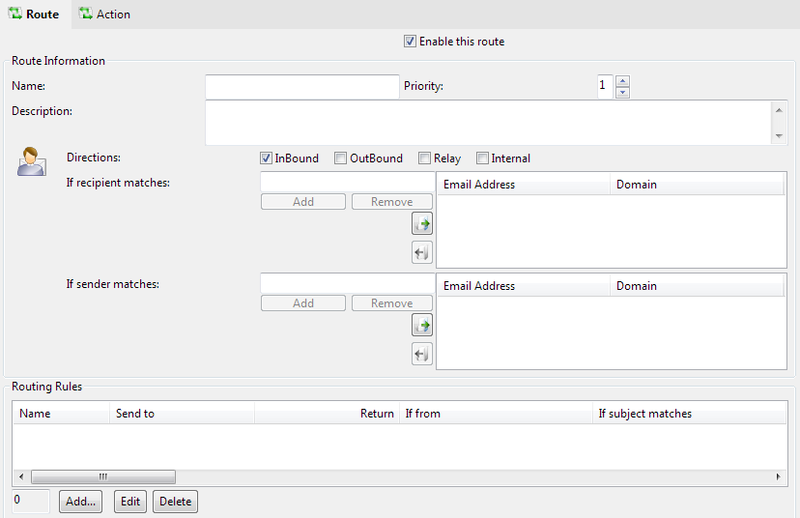 Inbound means email sent from an external domain to one of your specified domains (see SMTP Server). Outbound is to an external domain from your domain, and relay is from an exteranl domain to another external domain (if this is allowed with your server).